Red Matter is a story-driven VR puzzle adventure game set during a dystopian Sci-Fi Cold War. Take on the role of Agent Epsilon, an astronaut of the Atlantic Union dispatched to an abandoned Volgravian base on Rhea, one of Saturn’s moons. Your mission: to investigate a shady top secret research project. Solve puzzles in a beautiful, high-detail brutalist environment which only becomes more and more surreal as the story progresses. Use an array of hi-tech tools to decipher hidden messages and mechanisms and uncover ever deeper and darker secrets of the facility. But beware of what you may find... Once you discover the truth, will you be able to stomach it? 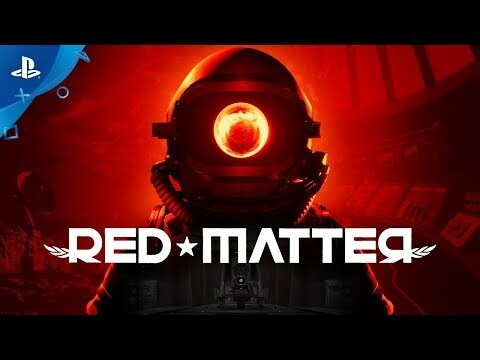 Red Matter was released on PS4 136d ago in the US and the UK. Notify me when Red Matter is available.